Thread: Do you remember this game? I'm trying to think of the name of a game I used to have in the 80s. It was a round game sloping down to the middle with alternate black and white rings that you could turn either way. Each ring had a groove in it that a small coloured plastic ball fitted into. 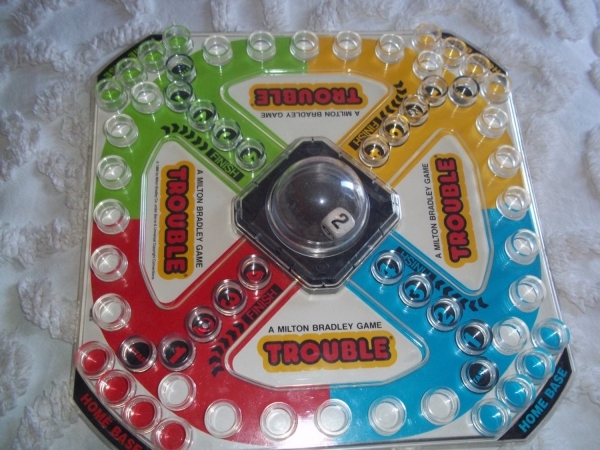 The object of the game was to get all your coloured balls down to the middle via a serious of strategically placed grooves by taking it in turns to move a black or a white ring in either direction and line up the grooves letting the balls drop down. When the balls got to the middle they ran along a little tunnel and back out to the side of the game. The winner was the first player to get all their coloured balls out first. It was in a large green box. Thank you! I loved that game when I was a kid!